When you stay at the Los Angeles Athletic Club Hotel, you are conveniently located near some different LA neighborhoods. 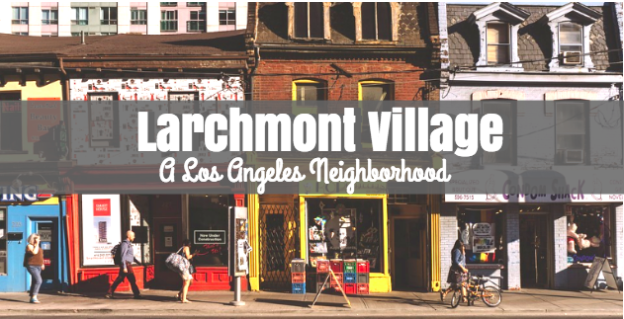 Larchmont Village is a quaint, pedestrian-friendly neighborhood in Los Angeles. In a city that is known for traffic and cars, this small yet thriving neighborhood is a gem for pedestrians. At Larchmont Village, you’ll find shops, eateries, cafes and more. Read on to learn about just some of the places you can visit when you stop by Larchmont Village. For a local bookstore, look no further than Chevalier’s Books. This destination has been open since 1940, and it is one of the oldest independent bookstores in all of Los Angeles. The destination has a large children’s section and an area to purchase stationery as well. New amenities even includes curbside pickup and delivery! Let the friendly staff help you find your next book to read today! You’ll discover Chevalier’s Books at 126 N. Larchmont Blvd. Does shopping make you hungry? If so, you’ll want to stop by Village Pizzeria. While some different places in Los Angeles offer great pizza, Village Pizzeria in Larchmont Village is one of the few sites that offer up an authentic New York style pizza. The owner of the restaurant hails from Brooklyn, so you’ll be sure to enjoy the perfect slice or if you’re hungry, order up a whole pie. You’ll find Village Pizzeria at 131 N. Larchmont Blvd. With so many independent coffee shops opening up throughout the city, it can be hard to keep track of the ones you should visit. Lucky for you, Go Get Em Tiger, located in Larchmont Village is one to go to. When you stop by, be sure to consider ordering the almond-macadamia milk latte, which the New York Times called “one of the finest coffee drinks in the country.” This is probably because the almond and macadamia milk is made in-house. The cafe is located at 230 N Larchmont Blvd.